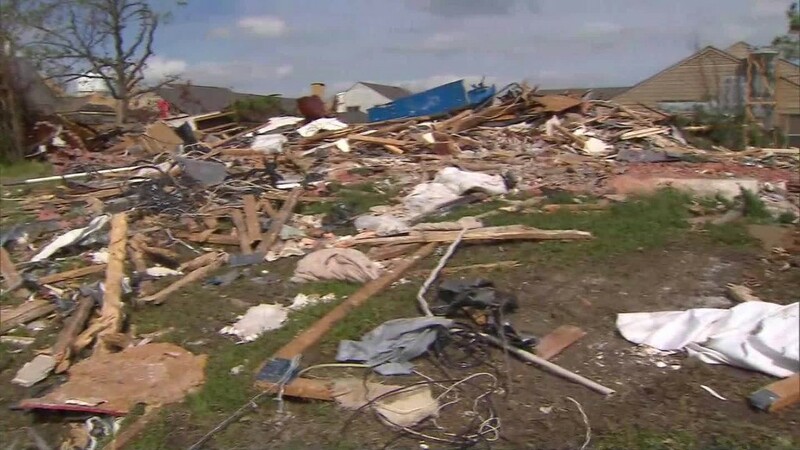 A woman whose house was damaged by a tornado late last year now owns nothing but rubble. Instead of navigating workers to a duplex on Cousteau Drive in Rowlett, Texas, Google Maps took them a block away to Diaz's duplex on Calypso Drive. "[Google's] mistake caused me to lose my home," she told CNNMoney on Friday. Google acknowledged the Maps error in an email, and said it's investigating the cause. 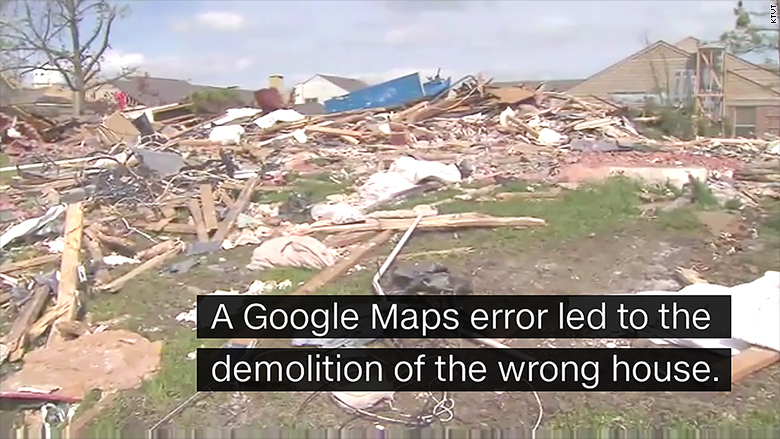 "Google Maps did indeed show incorrect information for the houses in question," a spokeswoman told CNNMoney. "Both addresses were shown as being in the same location (7601 Calypso Dr) on Google Maps... the issue was fixed as soon as it was brought to our attention." Google Maps now points to Diaz's home accurately. Apple (AAPL) Maps, Yahoo Maps and MapQuest also display the correct information. Google (GOOGL) Maps uses a combination of satellite, aerial and street-level images and data to chart the world. The company also takes submissions and change requests through its Google Map Maker tool to keep its maps up to date. GPS errors occur quite frequently -- as anyone with a smartphone or GPS device knows. And even though there's a pretty big difference between getting wrong directions to a party and getting wrong directions to a house you're about to demolish, technology can't be fully to blame. He said "yes, yes, yes," according to Diaz. "Except the street wasn't confirmed." The company, Billy L. Nabors Demolition, did not respond to CNNMoney's request for comment. Diaz said she met with the owner, the CEO, and the CEO's wife on Friday, and that they apologized for the incident.